This is just gorgeous. Is it equally beautiful inside? Those cafes probably are a tourist trap, I doubt the locals go there. Oh, it’s not just me then? I find it shallow, unengaging, contrived, stiff… the list goes on. Her observations are bang on target and very helpful. I reckon she used that story, because it’s so obvious. Snarky characters my backside! They’re not credible. But it is interesting. The one thing that baffles me - and she doesn’t comment on it - in Romance it seems to be normal to shift between POV all the time. At least she does scene shifts, not in-scene. In scene is obscene if you ask me. And good of you to tell her! This is penny dreadful material. What are the next steps on the journey? Are you flying back from Italy? Rome perhaps? Yes it is just terrible. I agree with all your observations. The pair of them are so weird, illogical, unnatural, not credible…There is no chemistry no nothing. Their actions make no sense. So why is she bothering to explain the thought process behind them! It’s not even a senseless, guilty-pleasure kind of a romance. I don’t know wtf it is. She’s waxing lyrical about tropes and how to juggle with them, but all she does is regurgitate them. I must read another of her books, the observations are really helpful, I’m sure she knows what she’s doing but to me it sounds like the typical example of shallow romance I would never touch with a bargepole. Maybe that’s why she chose it - it doesn’t sell otherwise. Anyway, the guide as such is interesting and helpful. I also like the idea with the 50K wordcount. Instead of writing these massive 90K mysteries, it might be easier to finish something shorter and snappier. The only book of hers that you might like is “Mistakenly Married”. It seems really dumb from the cover, but try it out. I think it’s intelligent and very engaging. 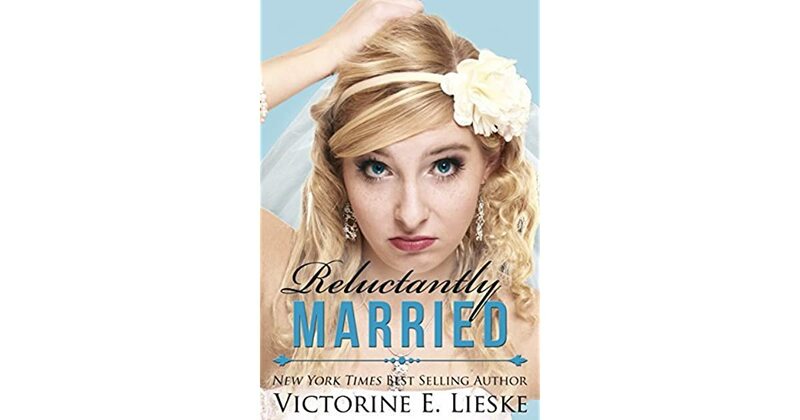 How to write a Swoon-worthy sweet romance by Victorine Lieske. Grit your teeth and gird your loins, I think the end result is worth it. Intro is great, going through the book is instructive but - very - tough. Don’t!!! SciFi is fabulous and not easy to write. I’ll stick to my guns as well and write a mysterious romantic suspense. At the same time, I love challenges and writing romance is quite outside my comfort zone. Okay, I have it in the mysteries, but only as sub, not main plot. It will end up as the usual mongrel, but between editing my existing novels, writing marketing plans and trying to get my head around a book launch I need something a bit lighter. I cannot write another full novel this year, it’s impossible. Trying to get out there is harder than ever. You can write the most beautiful, well-written tale. Readers suffer from shrinking attention spans, and a severe onset of shallow-itis. I will never write formula, I simply can’t, I have my own style, a specific prose which is not easy to commercialise. Having said that, the Magical Misfits are now probably quite readable. Still need to plough throw the LiteraTours stories, but not this year. Where was I? Ah, if you want to succeed, I gather a lot of it is luck, more luck, clever advertising - and hitting the zeitgeist. Right story at the right time. Which is almost impossible. It means, though, the more you can tailor your writing to market from the outset, the better your chances are. IHaving said that, I’m convinced you can only succeed if you write what you love to read. I love cozies, hence I write them. I’m actually not overly fond of romances, though I do read them - Georgette Heyer is my favourite, and that’s the style I’m going for. Sweet romance works for me, and I’m keen on trying it out for myself. Readers - of cozies and other stories - expect the romance. It’s a must. I realised that from the outset, even if I can easily read books that don’t feature romance. So, in a nutshell - I think you can only succeed if you write in your favourite genres, that are familiar, genres you like. But if - and only then - you want to go commercial, there are certain aspects to consider. Know thy audience or - ignore them at your peril. My genre is chicklit but they do have romance in them. In YA chicklit the romance is more of an infatuation that exposes the poor girl’s insecurities and ends badly lol. It’s no use going through it. How can you possibly teach how to write a swoon-worthy romance if the example is not swoon-worthy. It’s like teaching a class on how to bake a yummy cake when the cake is terrible…! Just take any romance book you actually enjoyed and read it several times and note down your observations, you will learn a lot more. PS: You want to learn how to build that tension, read the first Sweet Valley high book, Double Love. Thanks, it was interesting and fun as always. You have to join one of those, you’d enjoy it! And as Lina mentioned @AnnWrites, I’m deeply rooted in SciFi. Means I have 50% or more male readers and am allowed to skip the romance … I’m not complaining, I never got the hang of it.